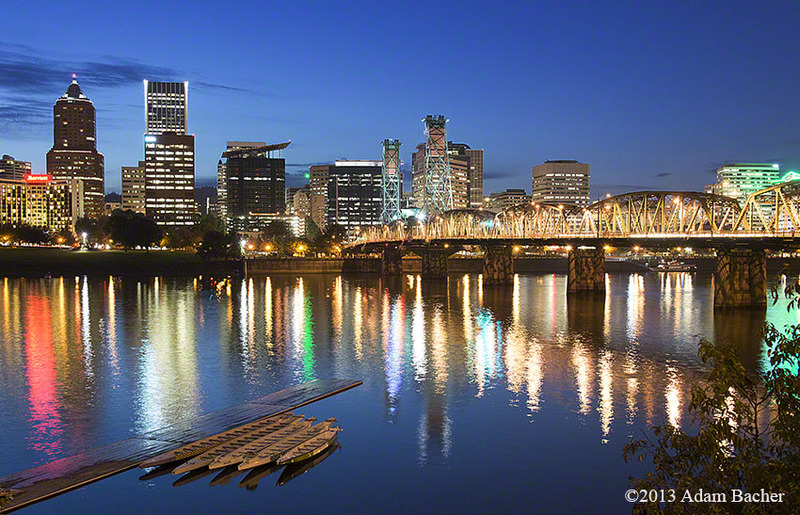 Portland Oregon skyline and the Willamette River, from the east bank esplanade. With dock and sculling boats. On location photography, Portland Oregon photographer Adam Bacher.